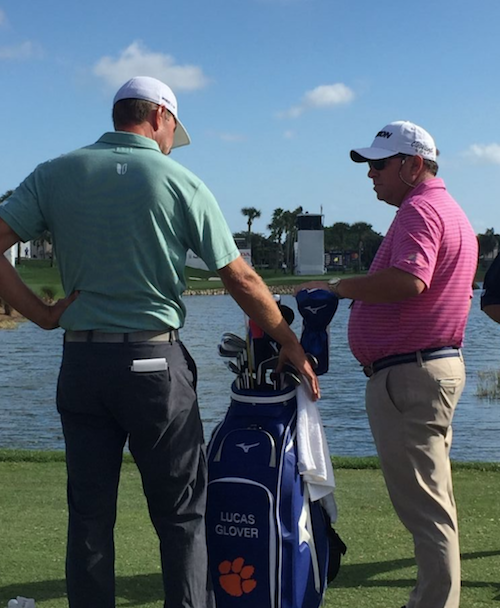 What does an instructor that works with players on the PGA tour actually do? That’s what we’re talking about today with Tony Ruggiero, diving into everything from what they do on a tournament to the work they put in during the off season and off weeks. 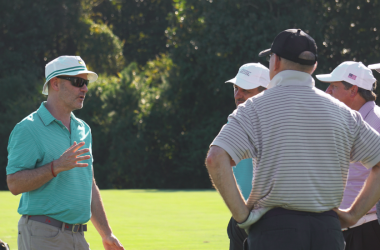 Quotes from Tony on a typical week, teaching at a PGA tour event. I think Monday is a great day to reset your setup fundamentals or what you’re working on. Players are traveling week-to-week so they’ve gone from playing in the wind to not playing in the wind, or it’s been wet and all these factors often effect their basic fundamentals. A lot of times, you get everybody set back up the way they need to be, and things go back to clicking on all cylinders. If it doesn’t, depending on the player and their schedule, I’ll watch them play nine holes. If the ball’s over-curving, it’s hanging in one direction, or not starting on line, then Tuesday would be the day to go back to our list of the things that I work on with that player and look at what it could be. Wednesday would be reconfirming what we’ve done Monday and Tuesday. There’s folks that I know from listening to them, talk about mechanics, and I’ve seen teachers put their hands on players and move them into positions right before they play. My philosophy always has been, if we don’t have it figured out by two or three o’clock on Wednesday, it ain’t gonna matter anyway. We’re gonna have the weekend to work on it somewhere. If I’m there on a Sunday and a guy’s in one of the last groups our conversation is much more, about keeping them relaxed and focused on what they need to do. I may reiterate one or two things that we’ve talked about like… “Hey, this is what causes the right shot… if you hit it a little right. Just remember that”. But as far as mechanical stuff, I shut all that down after Wednesday. I think too many PGA Tour players, I think too many people don’t have success because they panic, they overreact, they jump and they change… and then they get into a hole they can’t dig out. The biggest thing I’ve personally learned since teaching on the tour, which is more than some and a lot less than some of my other counterparts, is that you have to be yourself. I think people have this idea that tour teachers all teach the same thing, they all do the same stuff, or everybody’s week’s the same. The reason that guys on tour are successful is because they’re all different, and there’s all different types of people. Scott Hamilton, Mark Blackburn, John Tillery, Claude Harmon III, Chris Como and the list goes on. I mean, every one of those folks is different. And everybody has a different style and a different approach. I think that you have to be true to who you are and you have to stick to what you do. If you do that, you’re going to have a better chance of being successful. Tony is the Director of Instruction at the Country Club of Mobile as well as the Lead Instructor for The Dewsweepers Performance Academy at Sheraton Bay Point Resort in Panama City Beach Florida. 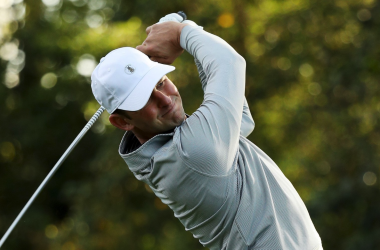 Tony’s notable students include PGA Tour Players Smylie Kaufman, Lucas Glover, and Zack Sucher; Web.com Tour Players Sam Love, Tom Lovelady, Robby Shelton and Wilson McDonald. Tony has had students appear on the 2014 and 2016 US Walker Cup Teams, and he currently has 7 players playing in the Southeastern conference. Tony has been the host of the Dewsweepers Golf Show on XM/Sirius PGA tour radio as well as terrestrial radio stations throughout the South for over decade! The Golf Top 100 Teachers in America Tony Ruggiero In 2017 Tony was named Golf Magazines “Top 100 Instructors in America” as well as Callaway’s Top 50 Elite Junior Coach in 2016 and 2015. 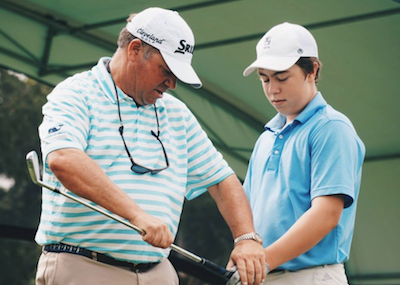 In 2016 Tony was ranked the #2 teaching instructor in the state of Alabama by Golf Digest. In 2013 Edwin Watts recognized Tony as a Top Instructor. Tony lists his teaching influences as Tom Ness, Mark Wood, Mike Adams, Wayne Flint, Brady Riggs, and Bryan Gathright. 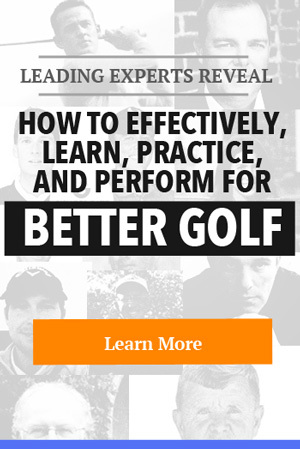 In 2016 Tony along with Matt Rudy wrote a bestselling book, “Lessons from the Legends” which gives a simple, easy to understand approach for anyone to improve their game of golf. The book comes from his experiences, mentors, and radio show. 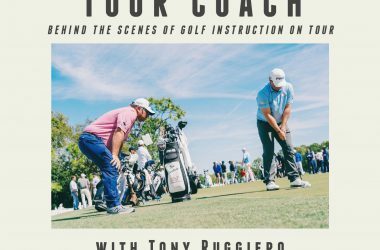 Golf Instructor Tony Ruggiero interview NBC golfTony began his teaching career at the Perdido Bay Golf Club in Perdido Florida in 2000. From 2001 through 2008 Tony was with the Hank Johnson School of Golf in Destin, Florida at the Sandestin Golf and Beach Resort. In 2009 Tony left Sandestin Golf and Beach Resort to begin teaching at Santa Rosa Golf and Beach Club in Santa Rosa Beach, Florida. In 2012 Tony left the Panhandle full time to become the Director of Instruction at the Country Club of Mobile. On the course Tony won the prestigious Edwin Watts Invitational in 2006, 2007, 2008, 2009, and 2011 and 2012! 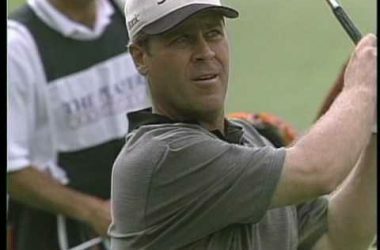 A native of Birmingham, Ala., Tony attended St. Mary’s University (1991-93) where he earned two varsity letters in golf and was a member of the Heart of Texas All Conference Golf Team. 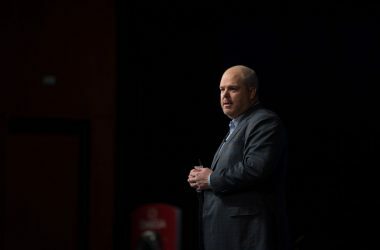 He transferred to Samford University in Birmingham to be closer to his family, and while attending Samford earned two varsity letters in golf as well as a degree in Public Administration. YEARS OF RESEARCH AND DESIGN IN THE MAKING; THE EDEL SINGLE LENGTH SYSTEM SLS-01 IRONS ARE NOW HERE. SIMPLIFY YOUR GAME. Traditional logic enforces the notion that variable length irons are correct and that smart people before us deciphered the most accurate way to play the game. Yet, few have questioned the reason why our clubs variate in length. Ockham’s Razor is a scientific technique or discovery tool to guide researchers and scientists which states Among competing hypotheses, the one with the fewest assumptions should be selected. 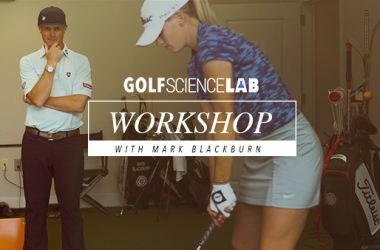 In golf terms, a set of clubs that allows the player to maintain a single ball position, swing plane, and rhythm rate would provide the logical explanation to achieve optimal performance. All with a club that has singularity of length, weight, bounce, shaft weight, and shaft flex to optimize the simplicity of repeating your ideal swing. SIMPLIFY YOUR GAME. SINGLE LENGTH. SINGLE SWING.